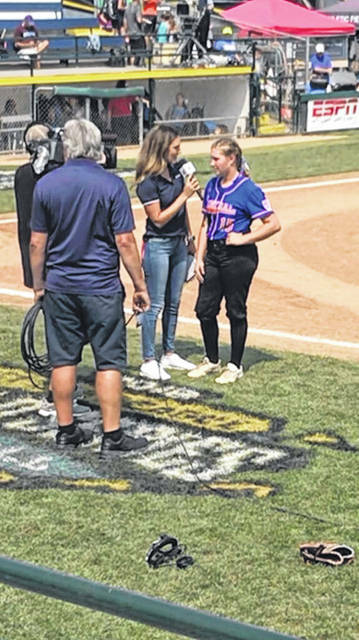 Wheelersburg pitcher AndiJo Howard was interviewed on ESPN following her outstanding performance on the mound for her team. The Wheelersburg LL softball team meets with their coaches following Monday aftternoon’s win over Kirkland LL (Washington). Portland, Or. 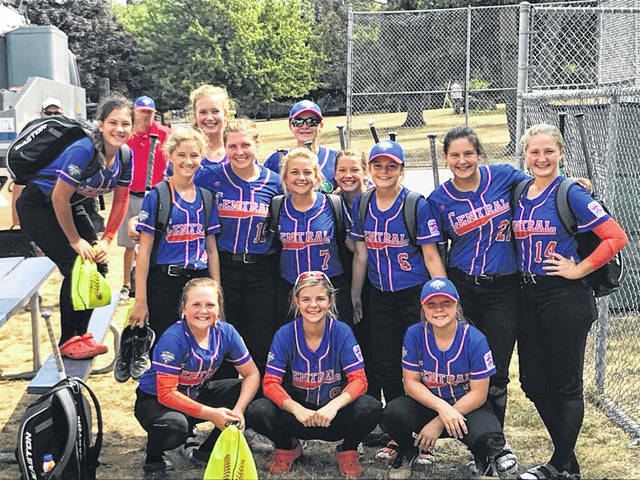 – After dropping their third and fourth games of pool play, the Wheelersburg LL softball team found their offensive stride once again Monday afternoon as they defeated Kirkland LL (Washington), 10-1. 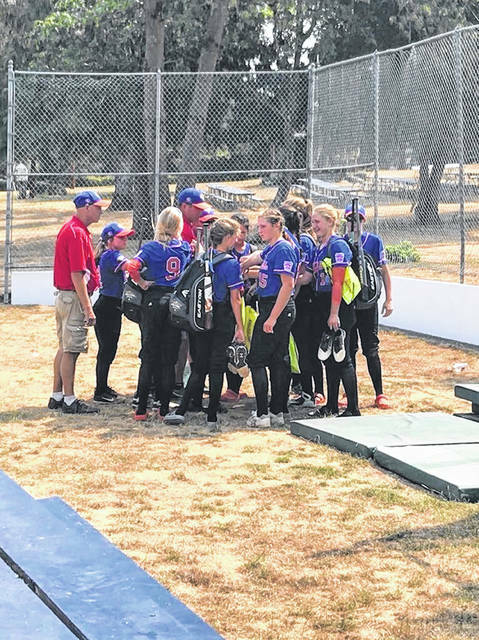 This victory advanced Burg to the semifinals of the Little League Softball World Series Tuesday night. Whether it be fatigue or anxiousness, Wheelersburg did not feel like the same team that they had played like so far through the post season in their two losses on Saturday and Sunday. Saturday featured a game in which Burg attempted to claw their way back into before ultimately falling short to Lake Oswego (Oregon) by a final score of 3-2. Oregon’s three run first inning was all the offense they needed to defeat Burg, and it was also the most runs that Wheelersburg had allowed all post season up to that point. Sunday’s game against Eastbank LL (Louisiana) was incredibly devastating to see. The team that had been so dominant all throughout post season play had their backs against the wall in the game that would determine what seed they would be in the single elimination tournament that would start the next day. Heading into the final half inning down to their final three outs of the game, Wheelersburg trailed Eastbank 10-1 before tacking on three more runs before game end, making the final score 10-4 in favor of the representatives from the Southwest region. Although they had lost their final two games of pool play, which placed them in the third seed from their pool, all hope was not lost. Once tournament play began, all prior losses can be forgotten in the single elimination event. No prior games factor into the results of each tournament game, but the willingness to win and continue to play does make a difference. The girls from Wheelersburg were not ready to go home. Howard wasn’t the only girl who stepped up her game at the plate. Haley Myers and Ashlee Spence both were able to drive in two runs on their one hit a piece. Sydney Skiver went two for three with one walk in her four plate appearances. She was also able to drive in one run that helped extend her team’s lead. The story has been the same all post season for Wheelersburg, and that is a group effort in all facets of the game carrying them to a decisive win, extending their season by at least one more game.